Why is pie synonymous with Thanksgiving? I have yet to make that connection, but I've eaten pie every mid-October for as long as I can remember and I'm mighty thankful for that. Perhaps it is because the holiday falls right in the middle of apple and pumpkin season and who wants to be baking anything else than gorgeous pies with that fresh, affordable produce? This has been the most beautiful autumn I can remember. 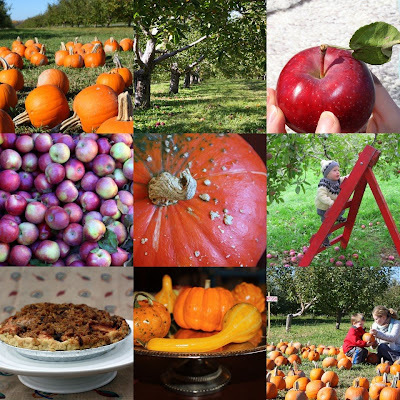 The weekends have been sunny and warm and we've been lucky enough to get out and do plenty of our favorite fall activities such as apple picking (twice! ), pumpkin harvesting and getting lost in a corn labyrinth. I made a lot of pies as a kid. My siblings and I would earn spare cash over the summer by holding a stall at the local farmers market. My mother would sell her bedding plants--fragrant herbs, perky tomatoes and broad-leafed cucumbers; my brother usually had to find a home for a litter of bunnies or young goat, but my older sister and I baked. Apple, strawberry and rhubarb pies, butter tarts, cinnamon buns, bagels and anything else we figured would sell. Those were some lucky customers we supplied; boy we should have charged double! Those pie-making skills certainly rubbed off on my youngest sister, who brought this towering Spiced Apple Streusel Pie to our Thanksgiving dinner. While Miranda's true passion is for animals and animal care, she also knows her way around the kitchen, as this gravity-defying deep dish pie demonstrated. I mean, just look at those apples, they are stacked four high! No slouchy sunken apple pie for her. I knew you had to have this recipe. I've already made it again since Thanksgiving and it's only been a week! For filling: Position rack in center of oven and preheat to 375°F. Toss apples with sour cream in large bowl to coat. Mix sugar, flour, cinnamon, nutmeg and cloves in small bowl. Sprinkle mixture over apples and toss to coat. Transfer filling to prepared crust. Sprinkle streusel over apples, covering completely. Bake pie until apples are tender and streusel is golden, tenting pie with foil if streusel browns too quickly, about 1 hour. Transfer pie to wire rack and cool slightly. Serve pie slightly warm or at room temperature. 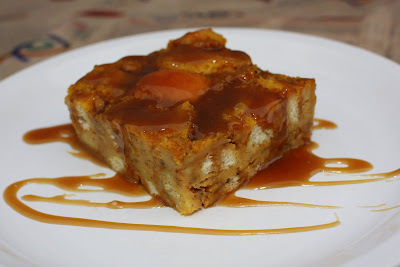 Keeping things seasonal, my awesome sister-in-law, Melanie, seduced us all with the other dessert of the night: Pumpkin Bread Pudding with Toffee Sauce. I swear, we had this bread pudding and the apple pie keeping warm in the oven while we digested our dinner, and when I opened the oven door to take a peek it smelt so good my knees nearly buckled. The combination of apple and pumpkin with all the spices was just too good to be true. If only there was a scented candle that smelled so sweet! Last fall I created the memorable Pumpkin Spice Bread Pudding with Rummy Raisins and Mel's version only confirmed that I love, love bread pudding. It's a great do-ahead dessert, the flavors only improve over time, and it's actually a brilliant dessert to bring to a pot-luck--nothing is going so squish, spill or crack. However, it turns out the toffee sauce was really all I needed, and no one noticed that I splashed a little onto my pie as well. Preheat oven to 350°F and place rack in the center of the oven. You will need an 8 inch square baking dish. Custard: In a large bowl, whisk together the eggs, pumpkin, half and half, melted butter, sugar, vanilla, spices and salt. Add the bread cubes and raisins and toss to coat, making sure all the bread cubes are coated with the custard. Transfer the bread pudding to the ungreased pan and bake for about 25 mins or until a toothpick inserted in the center comes out clean. Remove the bread pudding from the oven and place on a wire rack to cool slightly. Served warm with toffee sauce. Place the butter, sugar, and cream in a saucepan and bring to a boil. Boil for about 3 minutes then remove from heat and stir in the vanilla extract. You can make this sauce in advance and simply reheat. I hope you've gotten some inspiration from this little Thanksgiving series. It's been fun! Missed the rest of the meal? Both desserts look yummy. I like that kind of pie with the streusel on top. Man. You guys ate well. Not just one spectacular-looking pie, but a crazy-good-looking bread pudding as well. I enjoyed your roundup! Happy Thanksgiving. Well, according to The Little House Cookbook pies were long the preferred desert of North American settlers becuase they were easy to make using widely available ingredients. Cakes were extremely difficult to make before the discovery of chemical leaveners like baking soda because they would have to beat all the lightness into the cakes by hand. Thus cakes as we know them know were traditionally food only for those wealthy enough to afford kitchen servants. Also pies generally use little store bought goods, such as flour and salt, with comparably much more harvested food like the apples or pumpkins. However, Fruit cake used to be a more common thanksgiving offering than it now is. I also think because Thanksgiving is a harvest festival most of the food would be what was just harvested, versus made with staples which you can always get. That bread pudding looks amazing. Yum - dessert - the best part!! I love that in that apple pie it's more chunks than slices!! 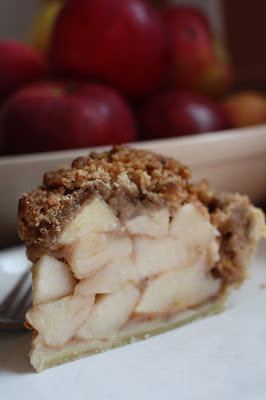 My favorite apple pie has a crumb topping, so I know I'd like this one! You had a fabulous Thanksgiving feast! While I love all Thanksgiving foods, I'd have to say pie is #1. Apple pie with a scoop of vanilla bean ice cream is my favorite. Both of these desserts look delicious. I wish it was Thanksgiving here in the States. That bread pudding was amazing. And I dont even like bread pudding! Both look delicious, but I'd be reaching for the pie. Interesting how the apple is cut into chunks rather than thin slices. It looks fabulous! Hi Helene- I think I prefer it to the traditional apple pie! Hi Em- Thanks, are you going to share your Thanksgiving with us? Hi Sabayon- I figured as much. Thanks for the info! Hi Lyb- There's no such thing as overdoing it when it comes to desserts. Hi Deb- You'll have to share your pie recipe with us. 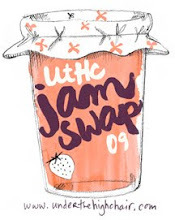 Hi Kamailesfood- Thanks for stopping by UtHC! I guess your Thanksgiving is coming up soon, eh? Hi Mira- Guess you do now. Hi Lynn- it was 'toothsome'. Great word, eh? Aimée, both desserts look delicious, but I must confess I'm a sucker for both pies and apples. Wow, those both look amazing! I will have to add them to our holiday baking list. From one Miranda who loves apple pie to another, tell her I am impressed with the pie. And I'd like a piece please. A big one. Hi Patricia- it's a classic, no doubt about it! Hi Maria- Your guests will thank you for doing so! Hi Miranda- I'll pass the word along, thanks! Hi Shayne- Really? Wow, cool. Hi Val- Believe me, there was no taking sides with these desserts. I had second of both! 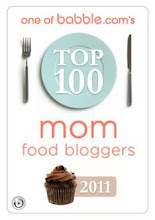 Hi - Just passed on a little award to you on my blog! I love Fall desserts! It brings back so many wonderful memories! Your apple streusel looks delicious!! I'm glad to have found your blog. Your photos and recipes are inspiring. 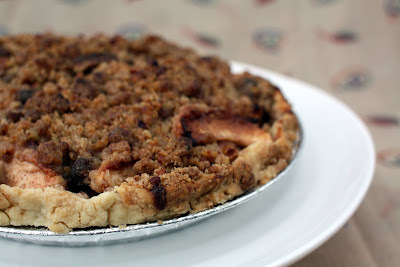 I recently made a similar apple cranberry pie with streusel topping. Scrolling through your photos, I'm jealous of the bakeries and food available to you (croissants especially) in CA. I'm not too far though and am more than willing to drive 4 hours for a good pastry!! That pumpkin bread pudding looks absolutely heavenly. Oh my! I have to make one! Aimee - this looks wonderful. My family and I just relocated to Germany about 6 months ago for my husband's job, and I'm admittedly having trouble baking (I can't seem to get the texture right). At any rate, with no pie crust needed in this recipe - sign me up! I'm going to try subbing rapadura for the sugar and using a fresh roasted pumpkin (they just started popping up in our markets here) instead. I've never roasted a pumpkin before, but I'm doing all sorts of new culinary "adventures" since we've been abroad, so why not, right? 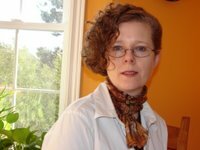 We've jumped on the "real food" bandwagon about a year ago and are still learning a lot; I always learn a lot from this blog as well as Simple Bites. Thanks, honestly, for always providing material that is such a joy to read! Blessings to you and that sweet baby #3 that is brewing!